Your health is essential. Get the support you deserve. Cogentix Medical offers a variety of products for voiding dysfunctions. Whether you’re a patient who is already under the care of a physician or someone who is just investigating treatment options, congratulations for taking charge of your health! While all healthcare decisions should be made in conjunction with a physician, we aim to provide helpful education on the products offered by Cogentix Medical and the conditions they treat. 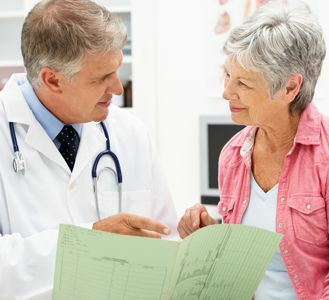 Cogentix Medical’s products are used by doctors to treat overactive bladder and associated symptoms of urinary urge incontinence urinary urgency and urinary frequency, faecal incontinence, stress urinary incontinence, and vesicoureteral reflux. Cogentix Medical’s products are also used as part of procedures to diagnose and treat ailments throughout the body. Urgent® PC is a non-drug, non-surgical treatment for treating faecal incontinence and overactive bladder. Macroplastique® is a urethral bulking agent that is used in the treatment of stress urinary incontinence and vesicoureteral reflux. PTQ® is a minimally invasive day case procedure for the treatment of passive faecal incontinence. PrimeSightTM Endoscopes are thin, tube-like devices with a camera at the end that allow physicians to visualize the internal organs of the body without invasive surgical procedures. Endoscopy procedures are frequently used to help physicians visually identify issues and provide direction for future treatments. PrimeSight endoscopes are unique because they are used with the EndoSheath® protective disposable sheath that completely covers the endscope and ensures that the endoscope does not come in direct contact with the patient during the procedure. Learn more about endoscope safety.